The other day I was at the grocery store and noticed a bag of candy eyes in with the baking supplies. I didn’t buy them, but for the rest of the day, I kept thinking about what I could use them for. They seem like they’d be perfect for some kind of Halloween recipe. 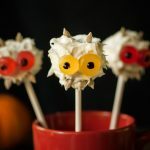 After brainstorming for a while I came up with the idea of cake pops that look like little monsters. Two days later I wrote out a grocery list and went back to the store. I grabbed everything I was going to need, lollipop sticks, cake mix, soda, and finally those candy eyes. That’s when I realized I had completely overlooked the obvious. I hadn’t looked at their ingredients before that moment. They weren’t vegan. I wandered around the aisles looking for some kind of replacement. For a few minutes, I thought I was going to have to scrap the whole idea until I saw a box of Dots! While they weren’t exactly what I was planning on I figured they’d work. Plus, they’re really fun colors. To make the eyes, cut each Dot in half. Since they have a tapered shape, there will be one big half and one small half. Match them up with same size/color pieces or mix and match. I decided to make three different varieties of pops. 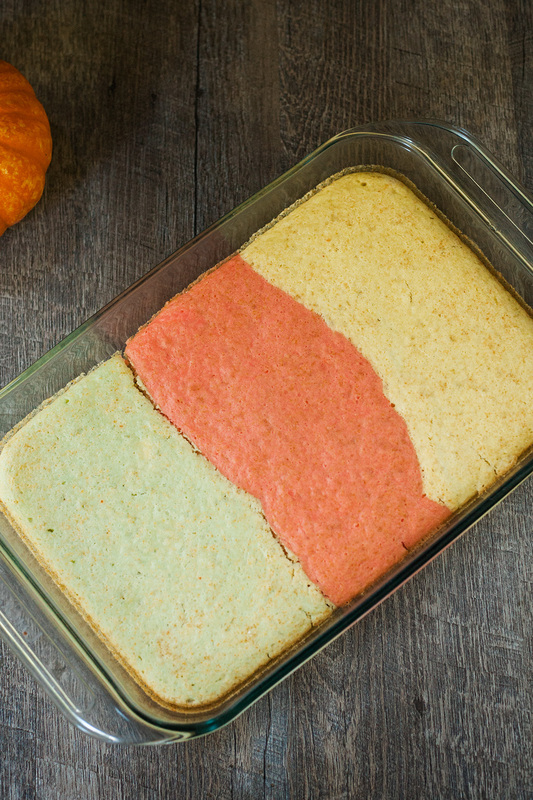 To do this I used three bowls and added 1 cup + 2 Tbsp of dry cake mix along with 1/2 cup different flavor of soda in each. I used Jones Blue Bubble Gum, Strawberry Lime, and Green Apple. Once the cake has cooled break it into fine crumbs and mix with a small amount of frosting. 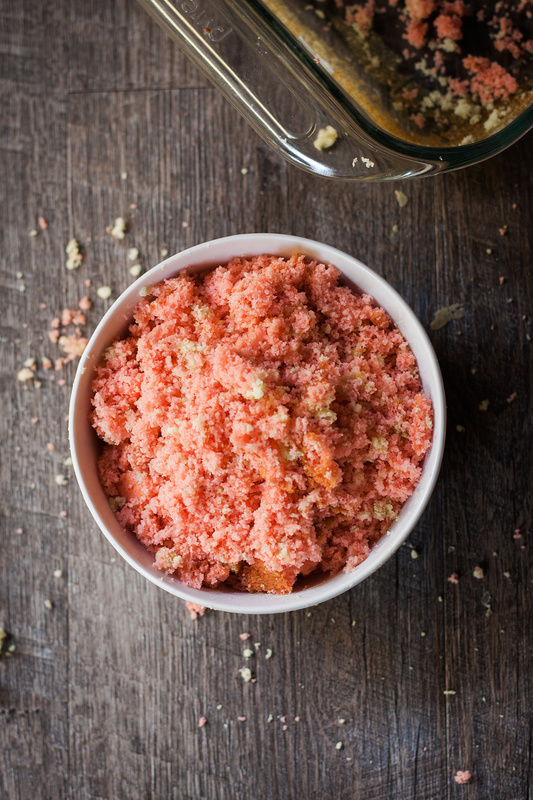 Scoop the mixture into bite-sized portions and shape into a ball. A small cookie scoop works well for this. 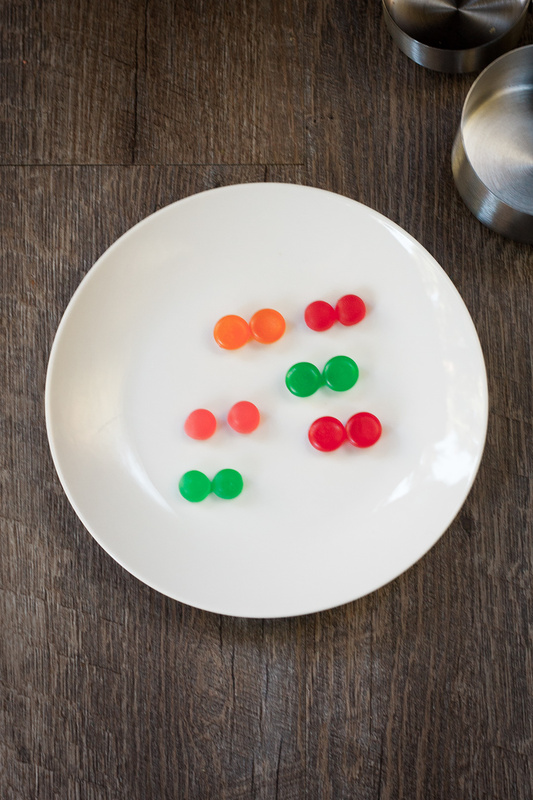 Allow the dough to chill and then dip a lollipop stick into the frosting and then into each ball to help them stay on the sticks. Frost and then decorate the pops as you’d like. 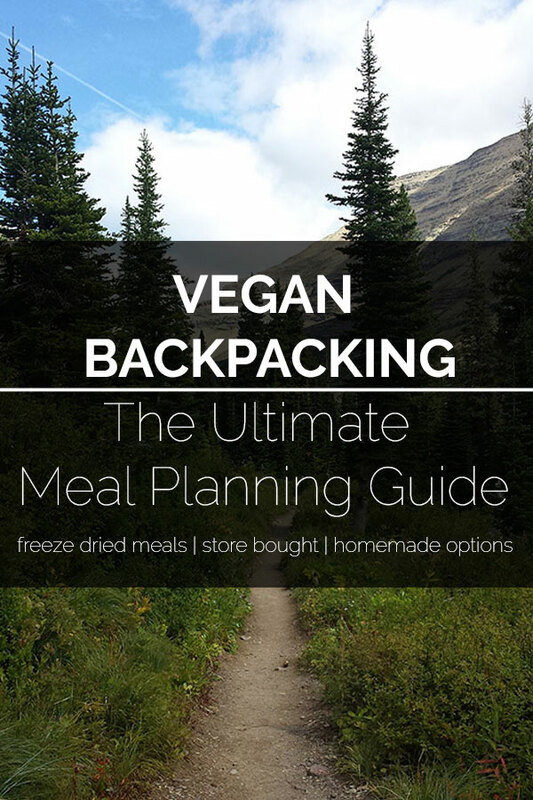 For more vegan desserts check out Peanut butter pretzel bars, Vegan Nutella Trail Bars, and Apple Pie Bites. 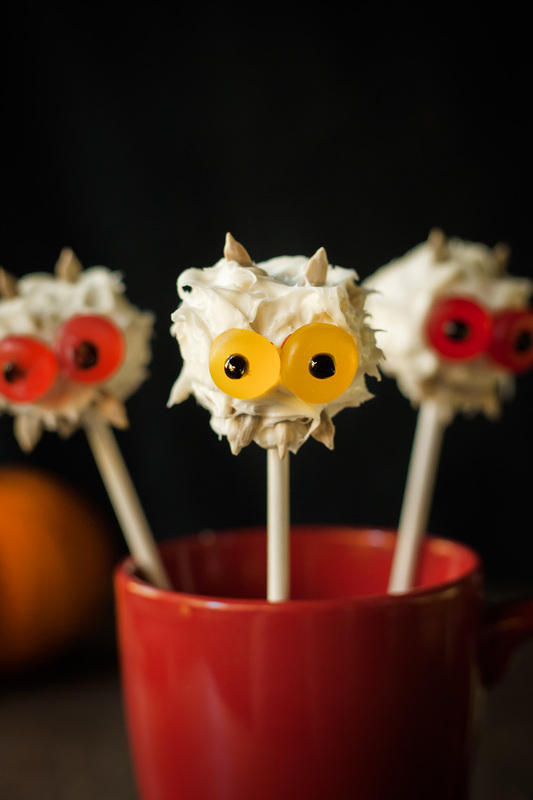 Cute and spooky little vegan cake pops that are perfect for Halloween. Combine the cake mix and soda. Stir until there are no lumps. Bake according to the directions on the box. Allow the cake to completely cool. Break the cake into relatively fine crumbs. It’s easiest to do this by hand. Mix in 1-2 Tbsp frosting. Scoop into bite-sized portions, place on a parchment covered baking sheet, and chill in the freezer for a few minutes. 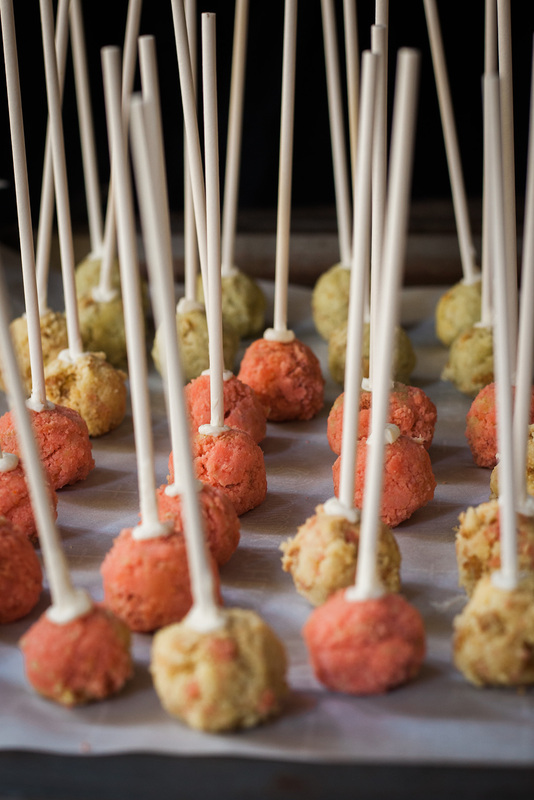 For each cake pop, dip a lollipop stick into the frosting and then into the pop. Return to the freezer for a few more minutes. Gently cover each cake pop with 1-2 Tbsp frosting and with the side of the knife tap the frosting to create little spikes. Place the pops in the stand or cup. Press Dots into the frosting and draw pupils on with the decorating gel. Use sunflower seeds for horns and teeth (optional).